JUST TURN UP AND PLAY FOR FREE. 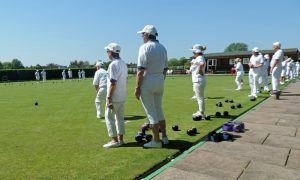 Come and try your hand at Lawn Bowls. Equipment will be provided. All ages and abilities are welcome. Bring your family and friends. Refreshments will be available. Please wear trainers or flat soled shoes. HOW TO FIND US: We are located in Cavendish Park, Field End Road, Eastcote HA4 9PG (just behind the Cavendish Pavilion).